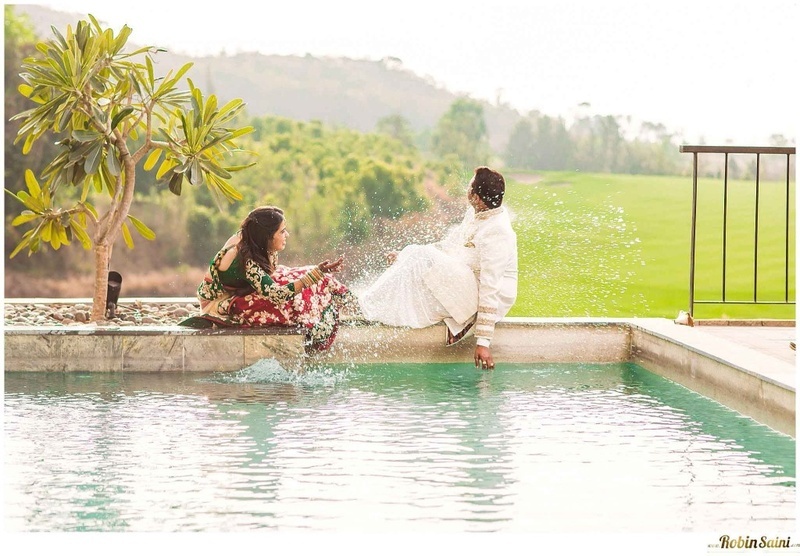 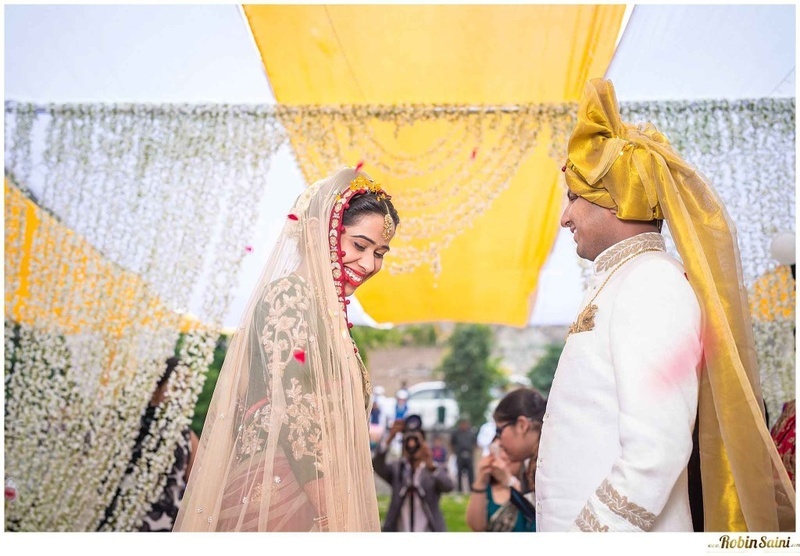 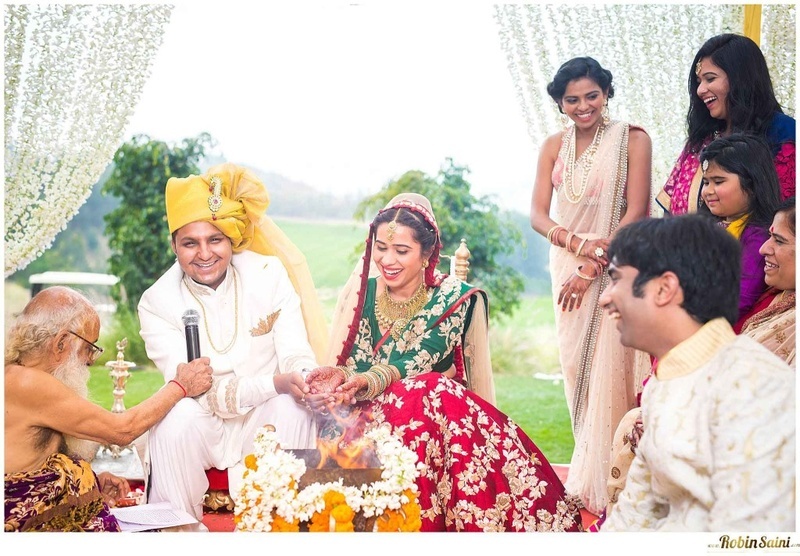 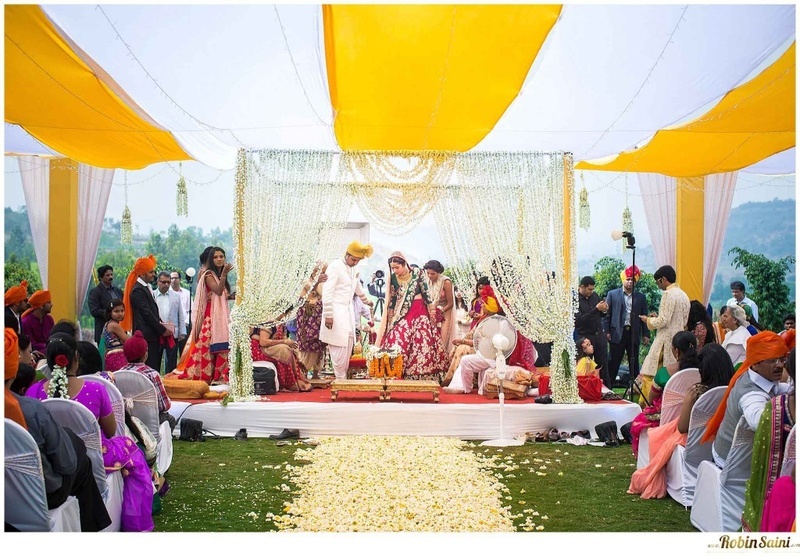 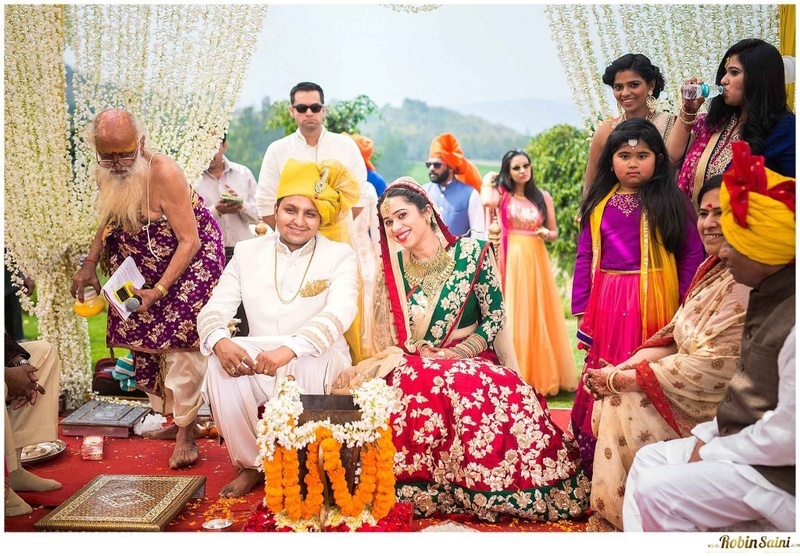 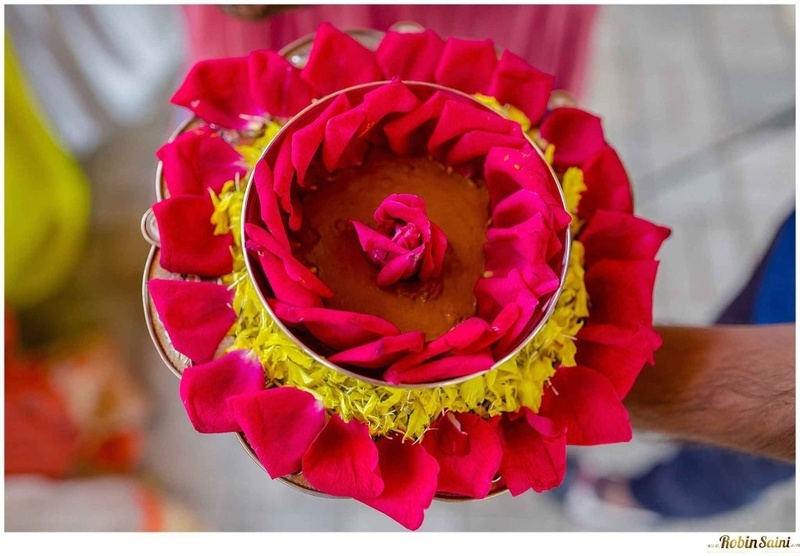 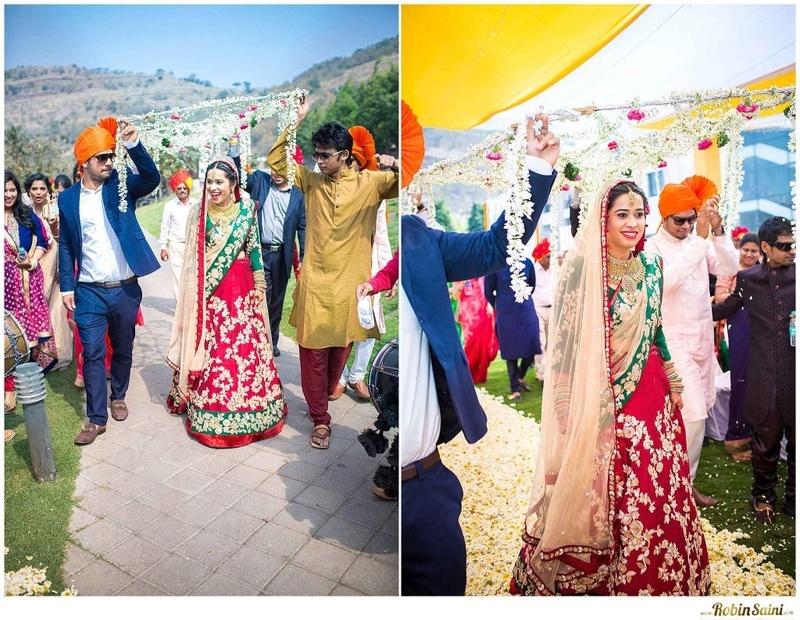 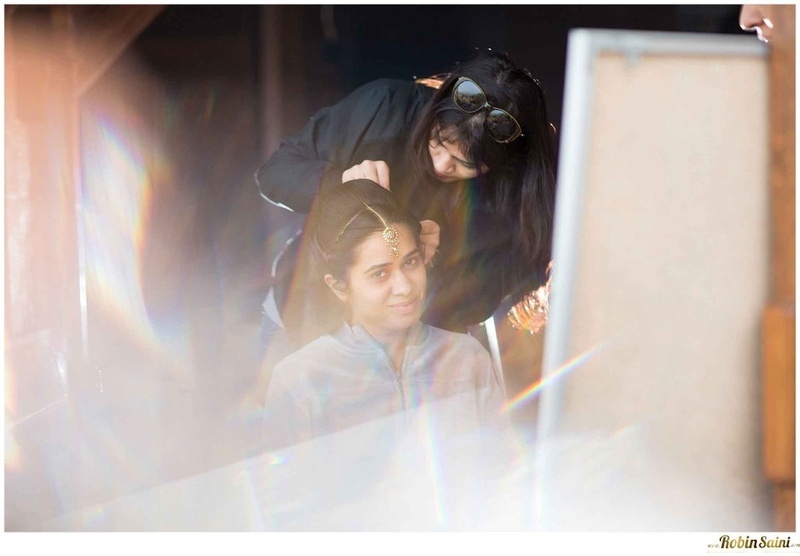 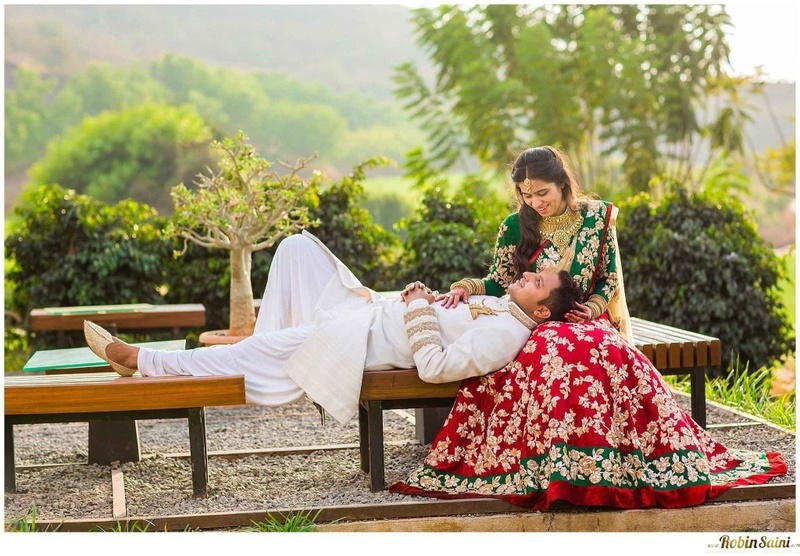 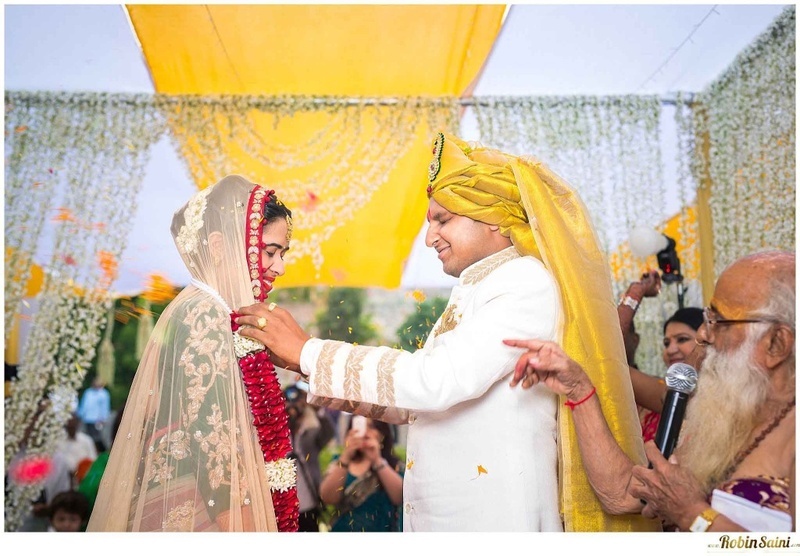 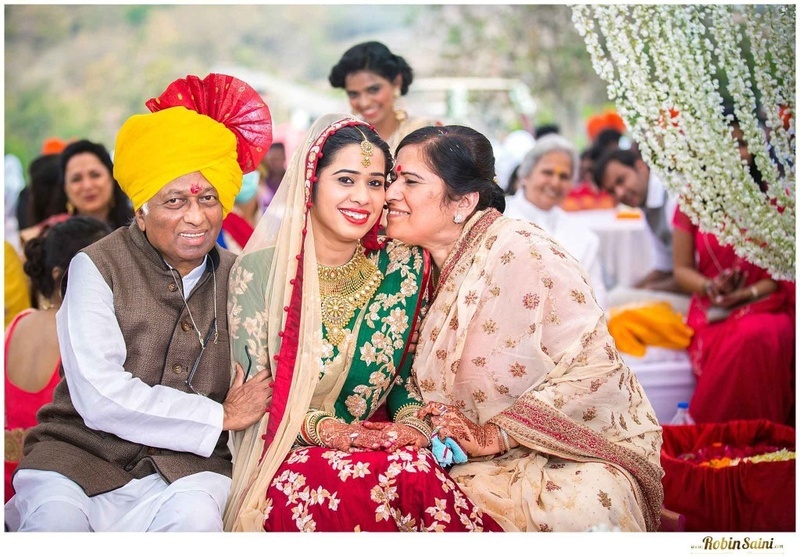 Taijasa and Pratik took their focus off the glitz and glamour factor that is common part of every Indian shaadi, concentrating just on making their big day a classy, intimate affair with loved ones. 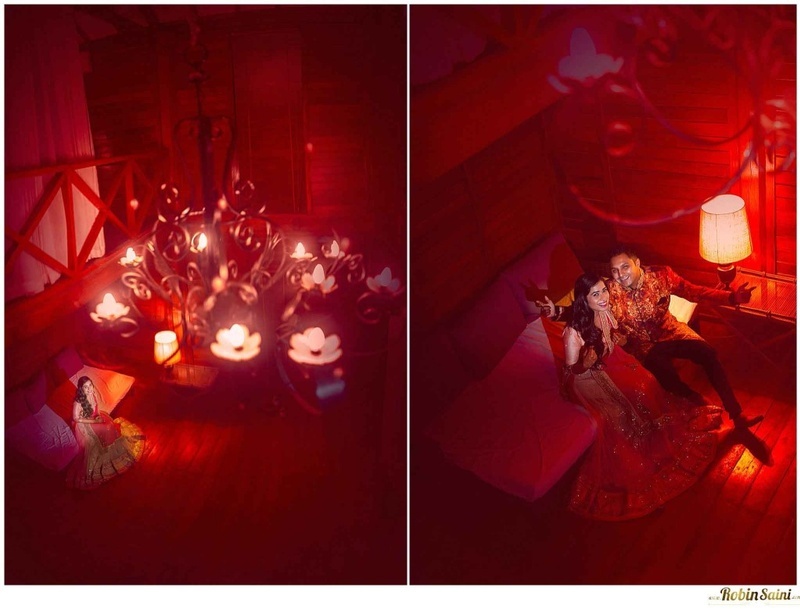 And isn’t that the ideal way to do it? 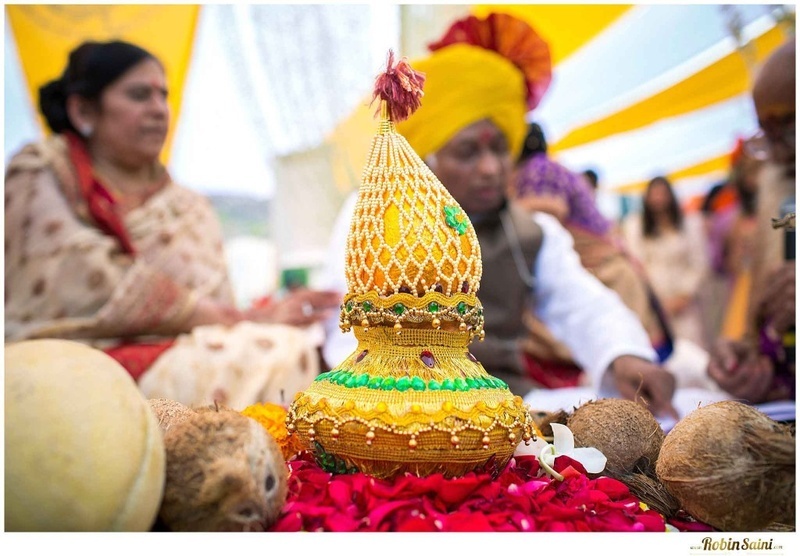 Its simply stress relieving to not think about whether your mamaji’s bahu has received the welcome gift basket or why the caterers haven’t put out the gajar ka halwa yet. 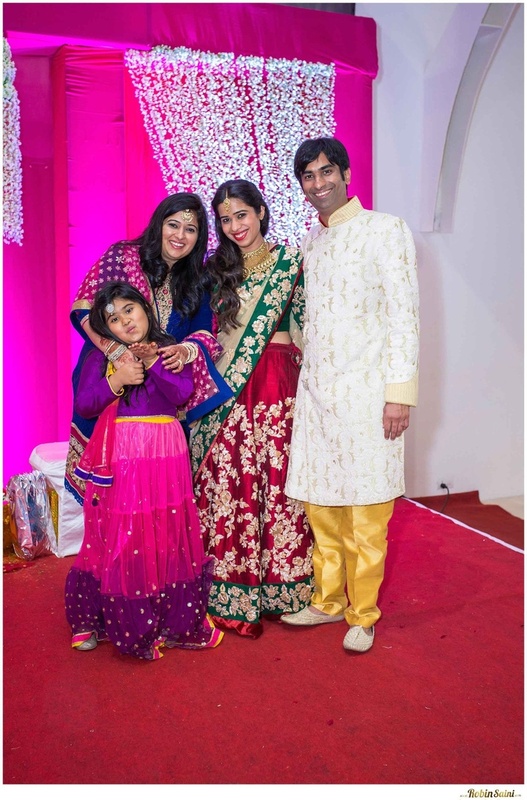 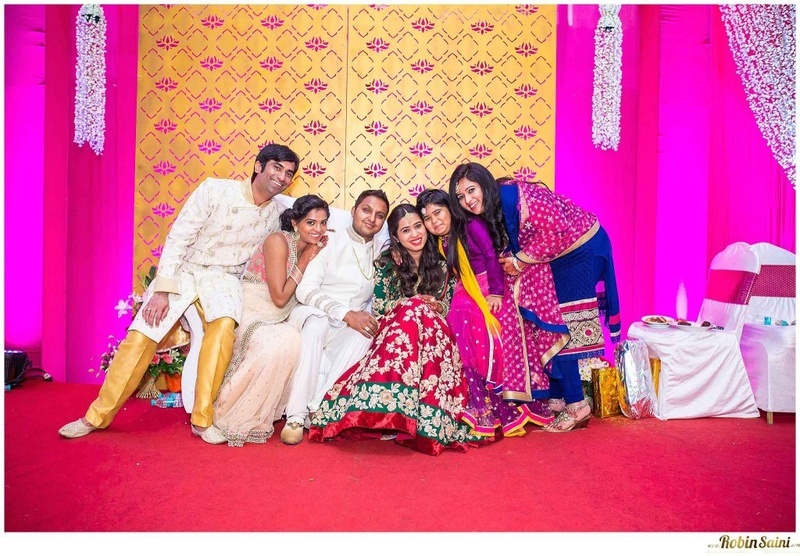 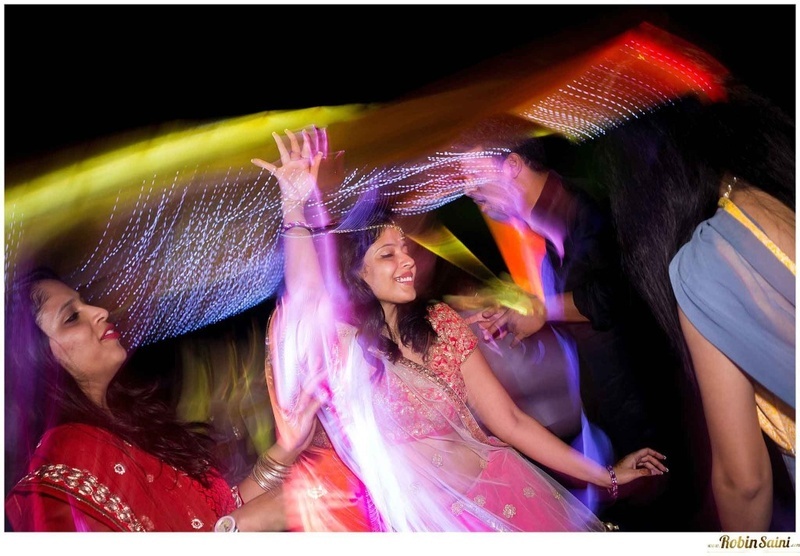 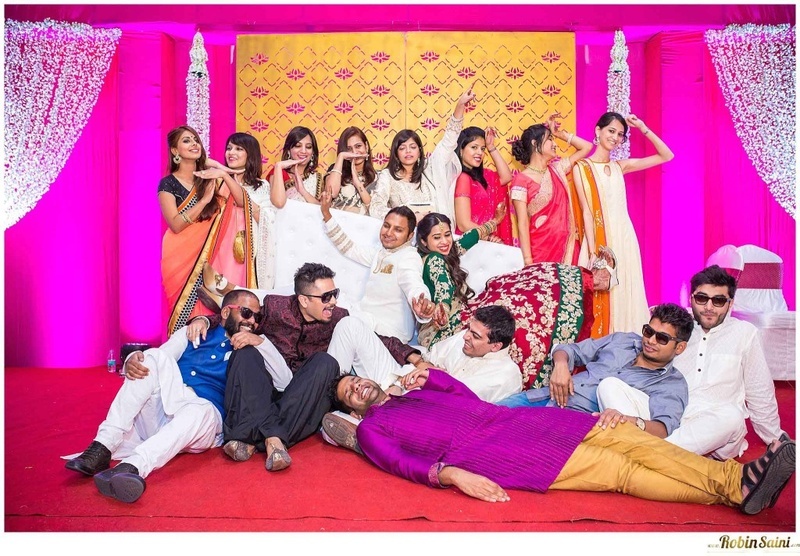 Taijasa and Pratik’s wedding celebration was simple yet special. 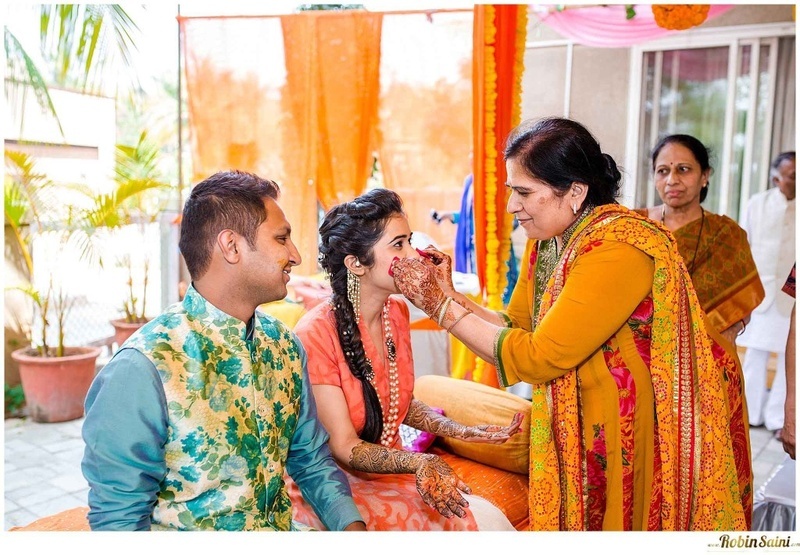 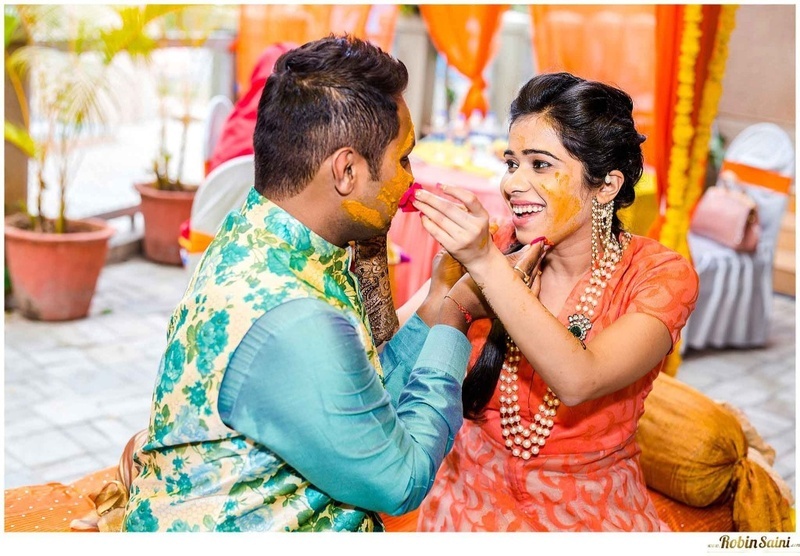 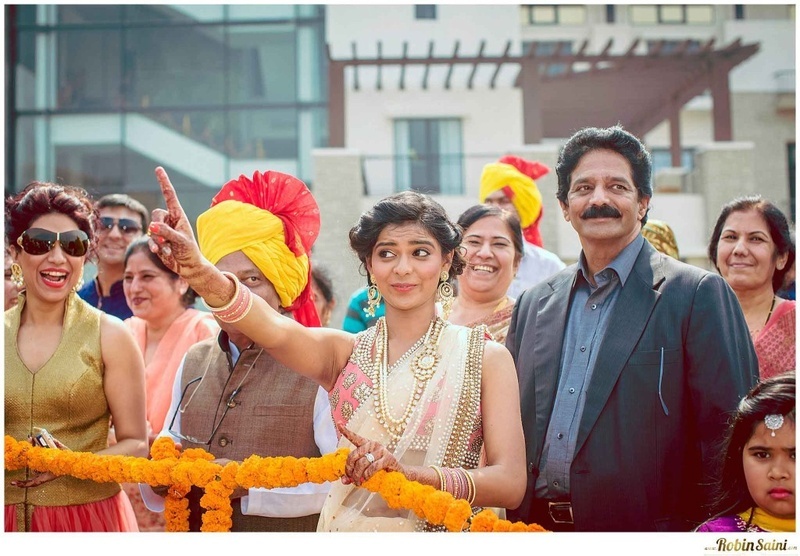 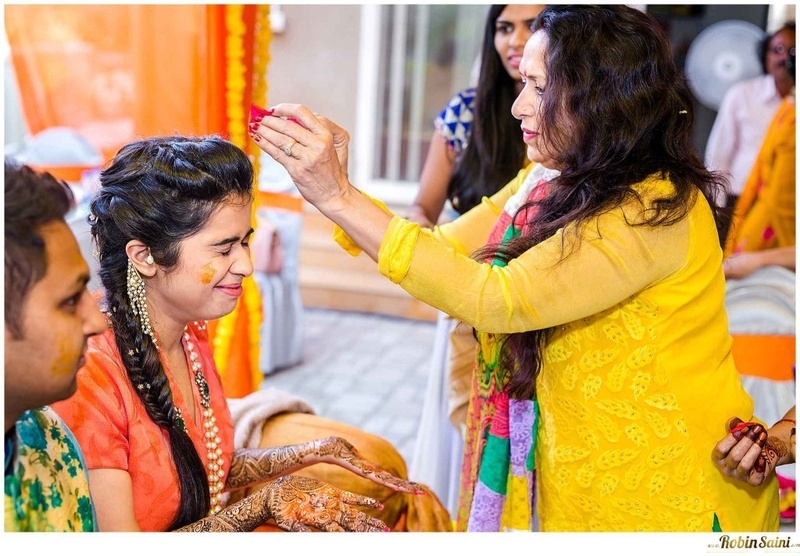 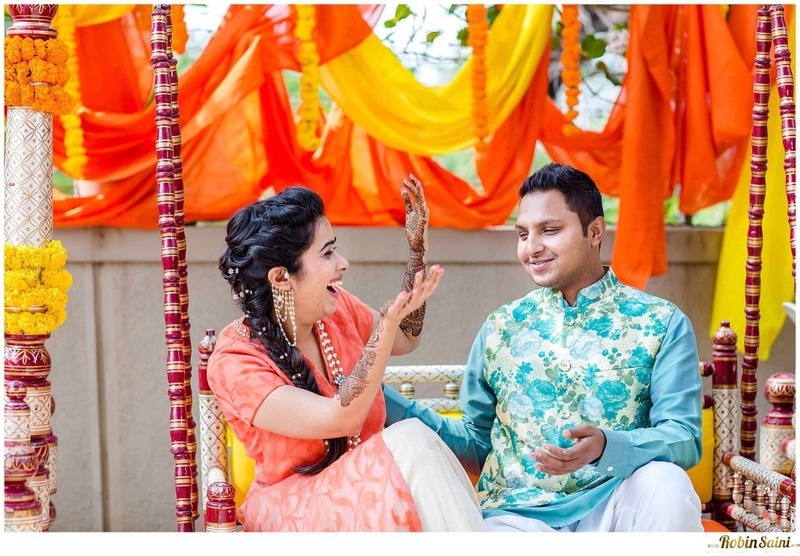 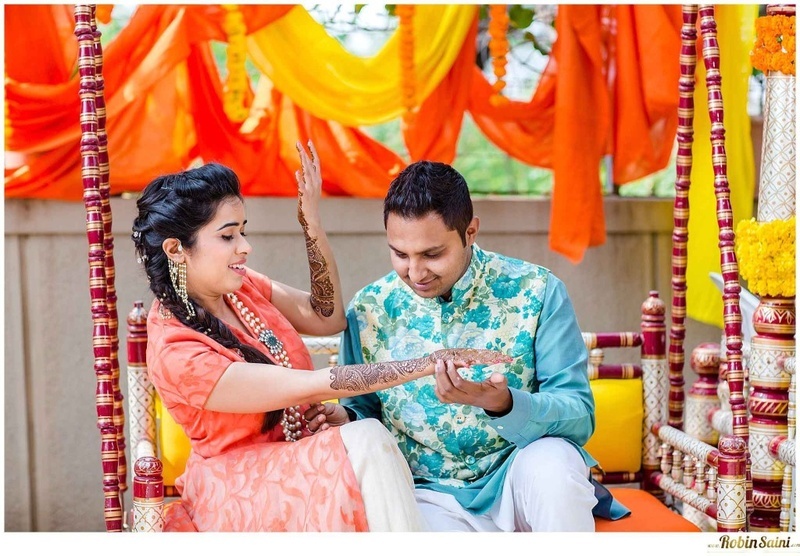 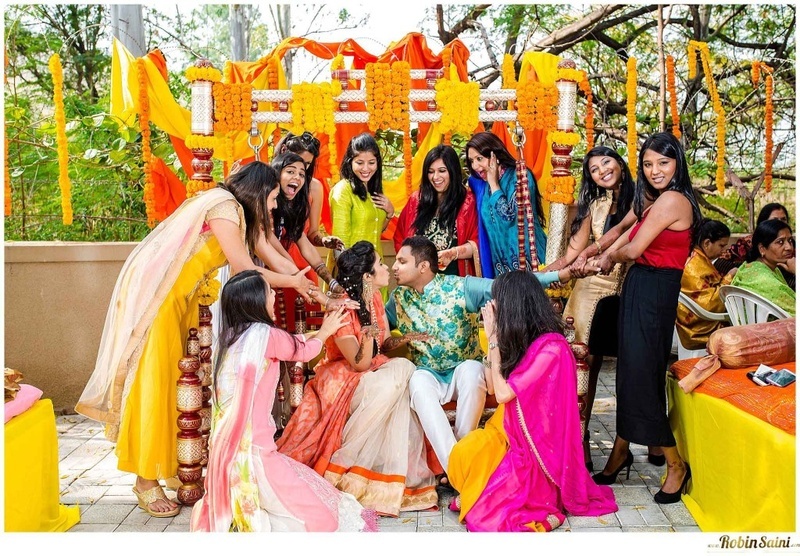 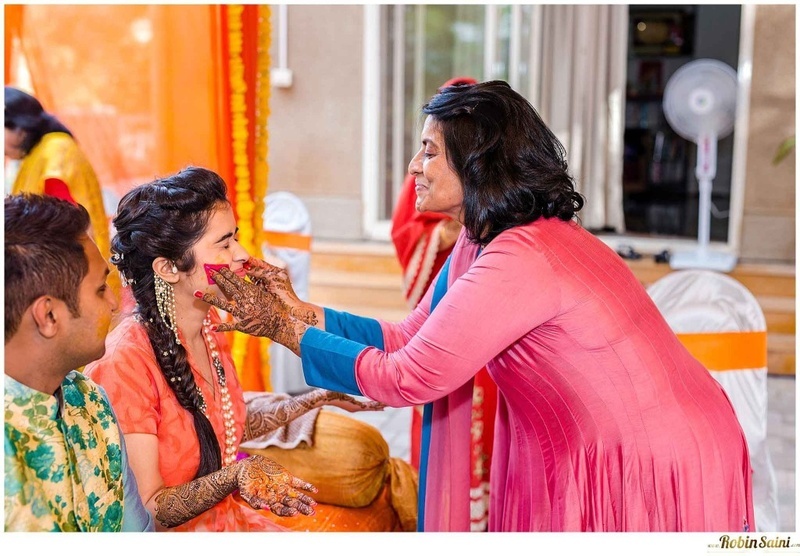 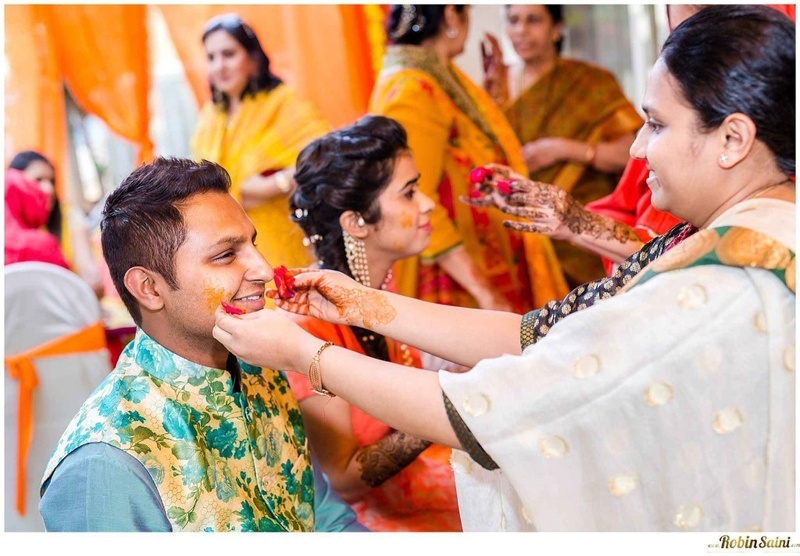 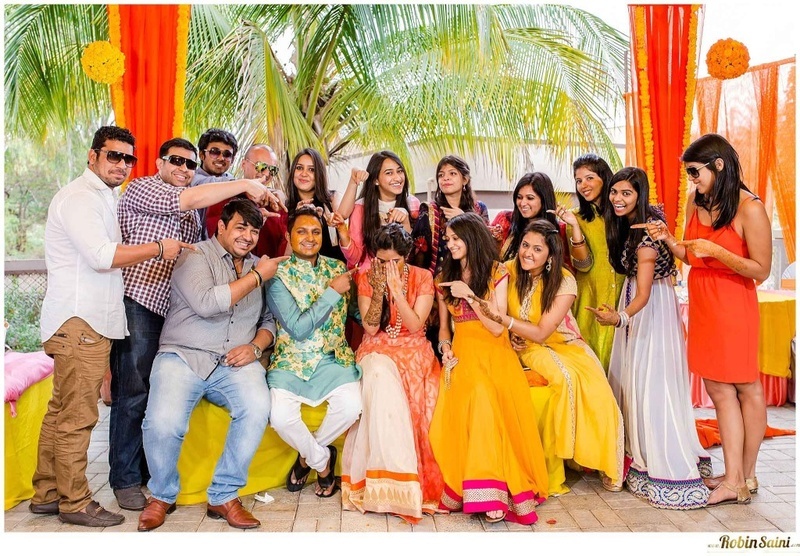 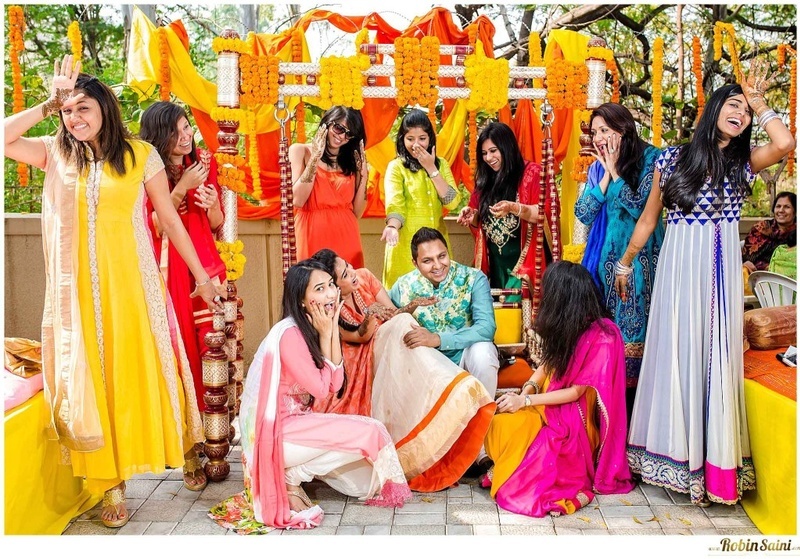 Their haldi and mehendi ceremony was held at Taijasa’s home in Pune and had hues of bright orange and yellow in every element. 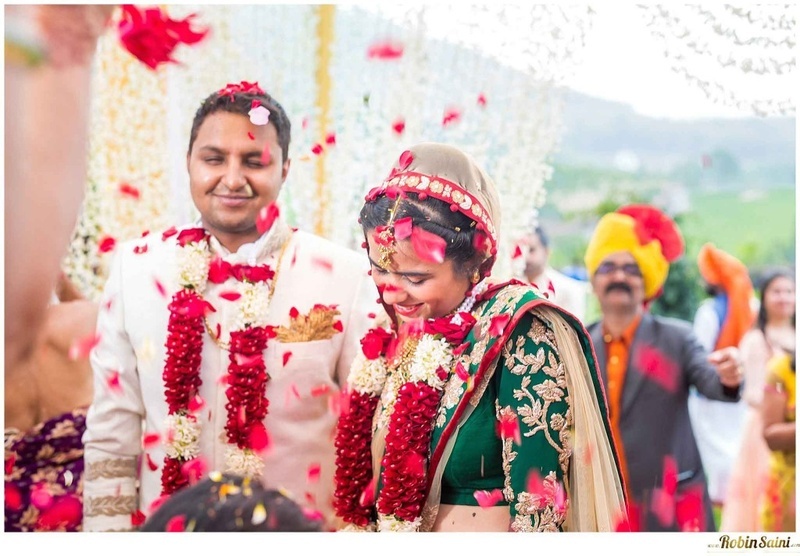 Everything from the jhoola in the balcony to the gate at the entrance was decorated with an abundance of marigold flowers. 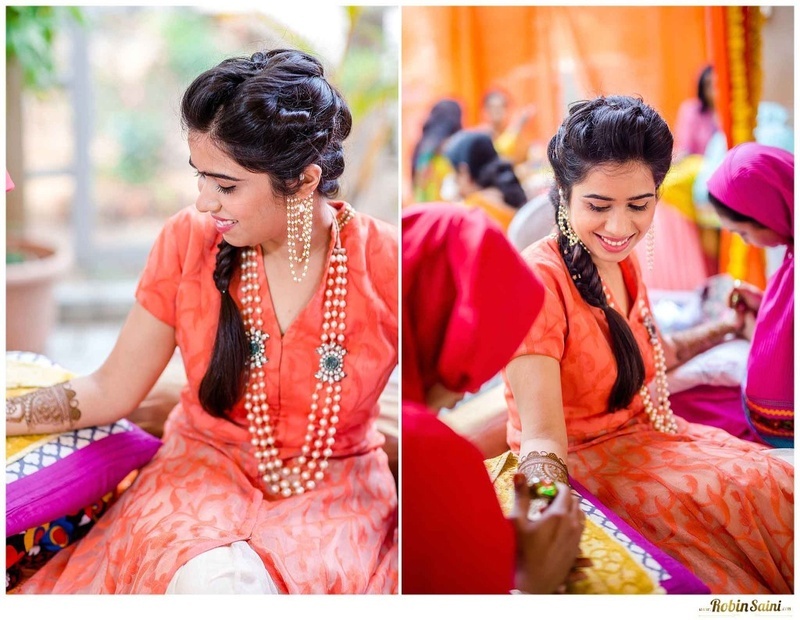 The beautiful bride-to-be wore a coral and white anarkali lehenga designed by Anita Dongre, and accessorized her look with multi-strand pearl jewellery. 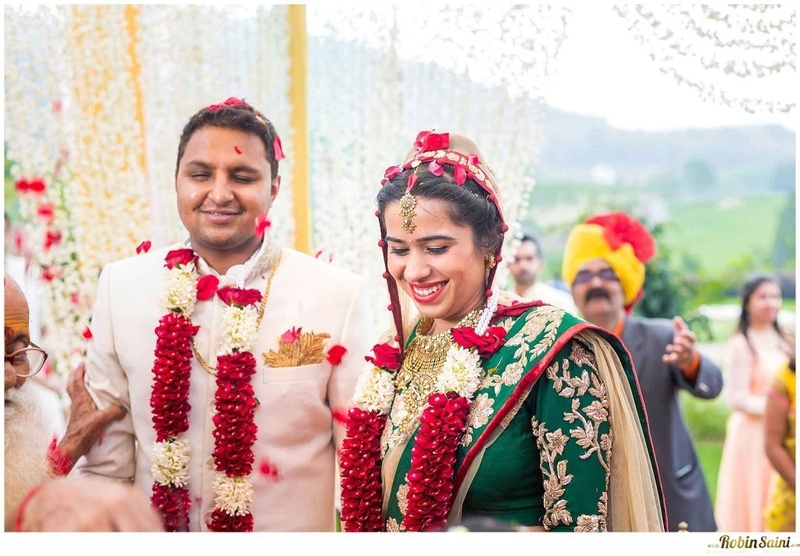 The groom kept up to speed in his blue and white floral printed Nehru jacket, which he paired with a sky blue raw silk kurta, looking absolutely dapper! 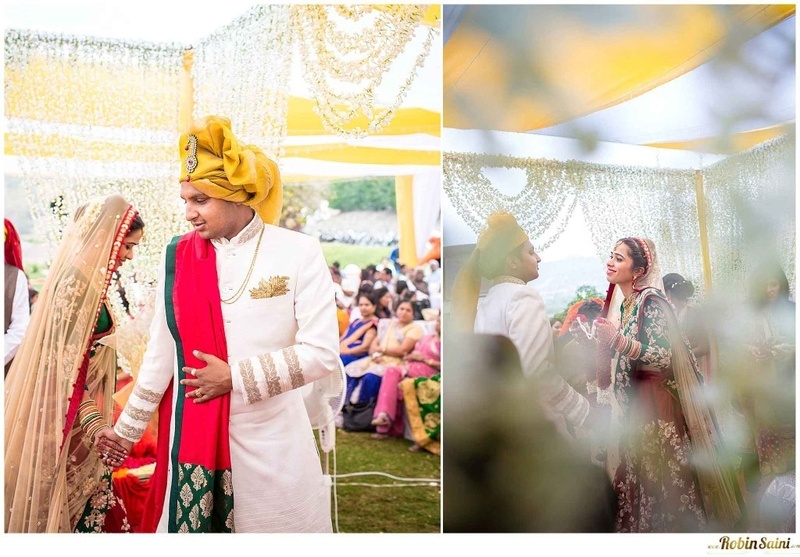 With the help of Varun Punjabi, their Wedding Planner, this couple pulled off a wedding that was simple yet special. 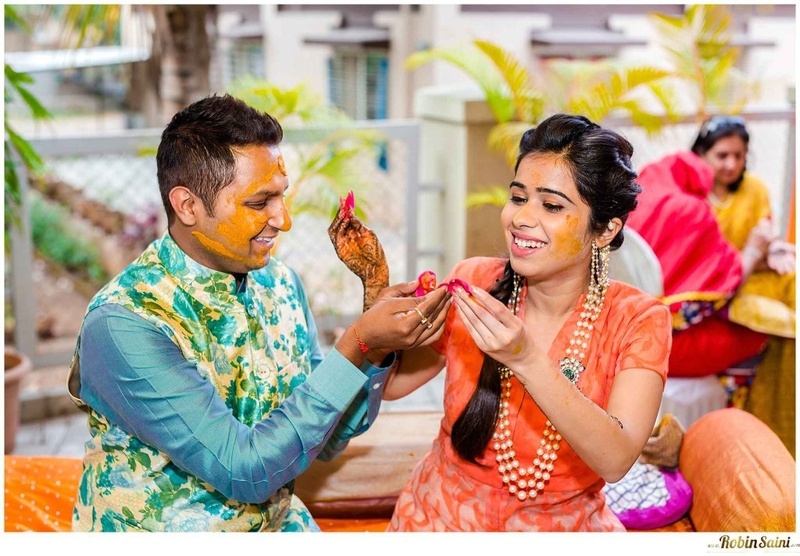 They planned their wedding by keeping in mind that one doesn’t need money to hold a lavish wedding affair, and money spent on the right things make a difference. 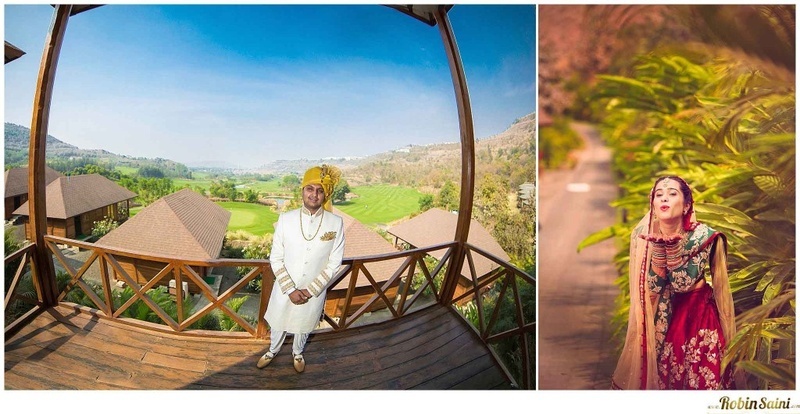 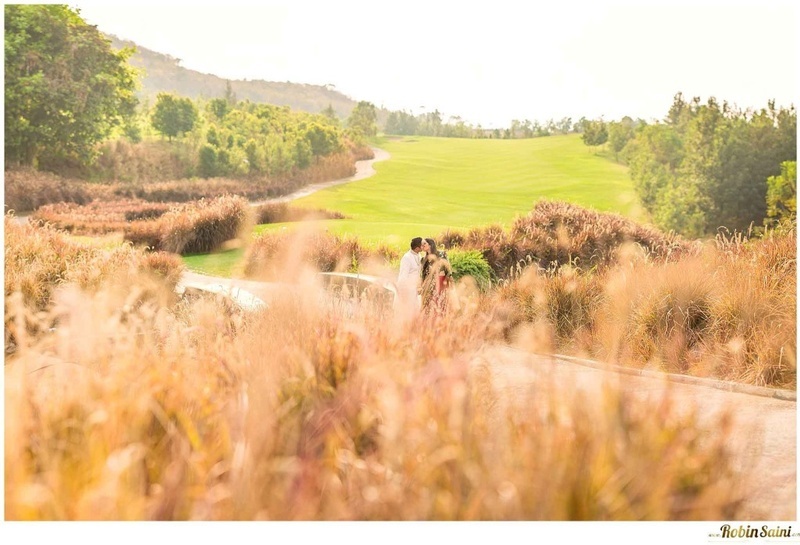 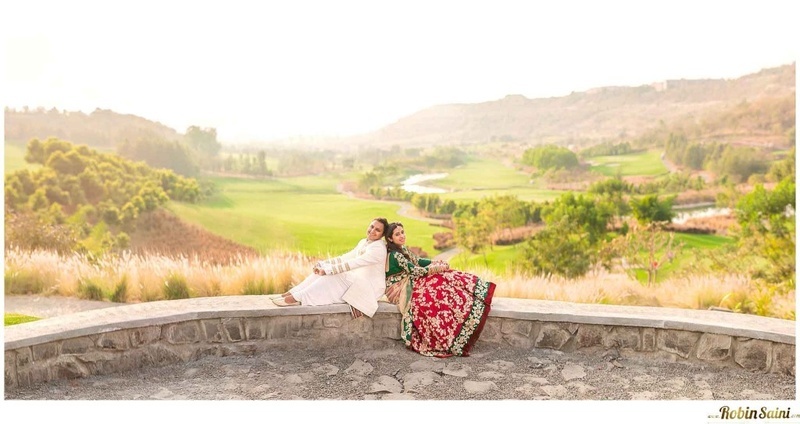 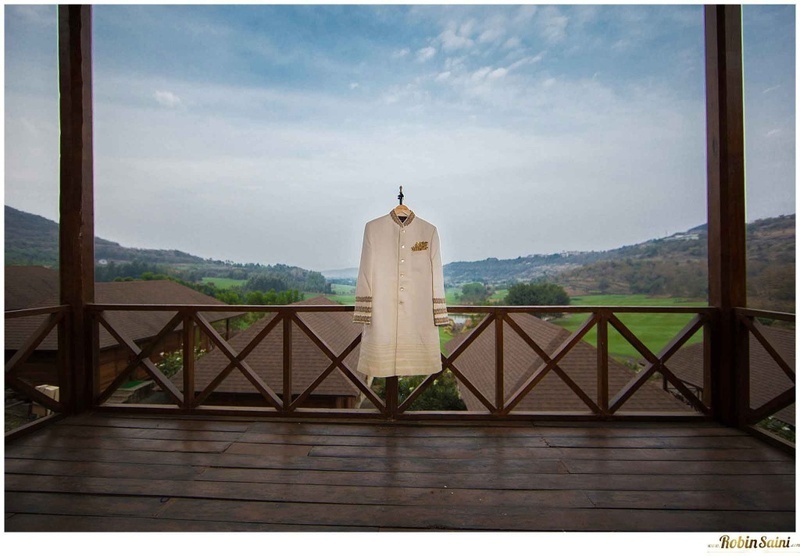 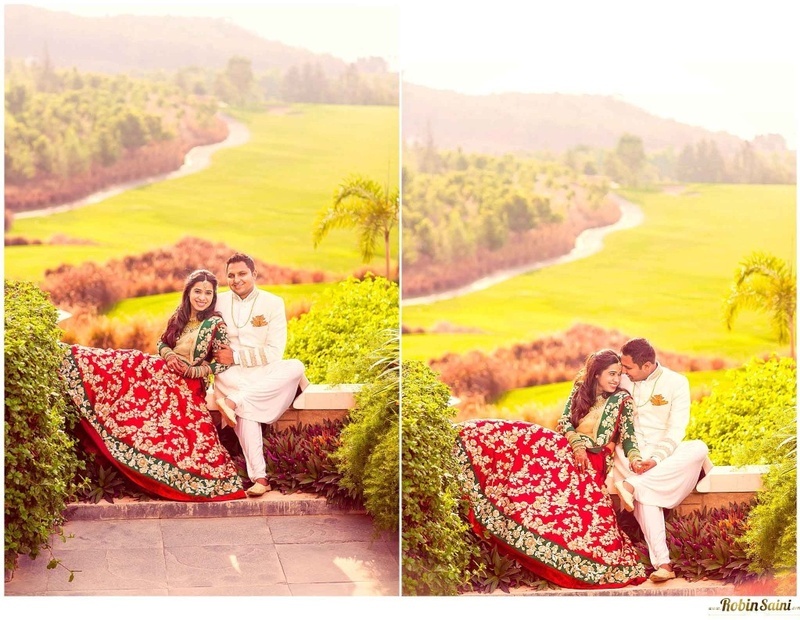 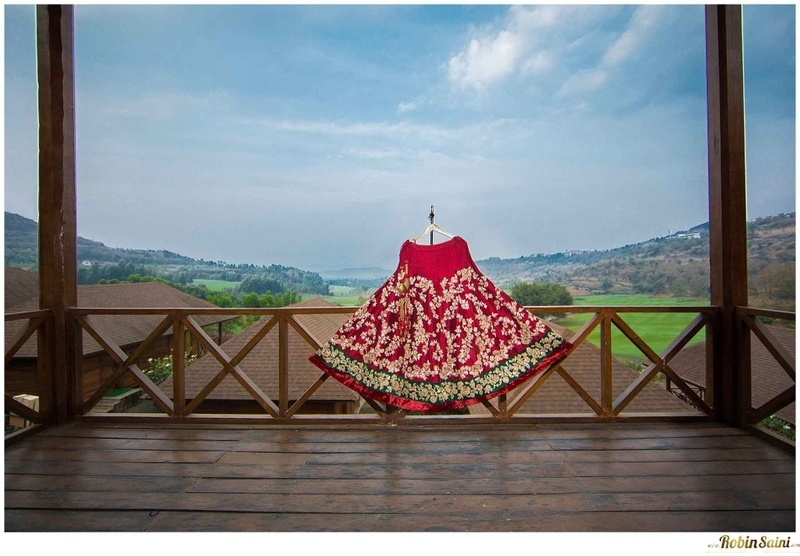 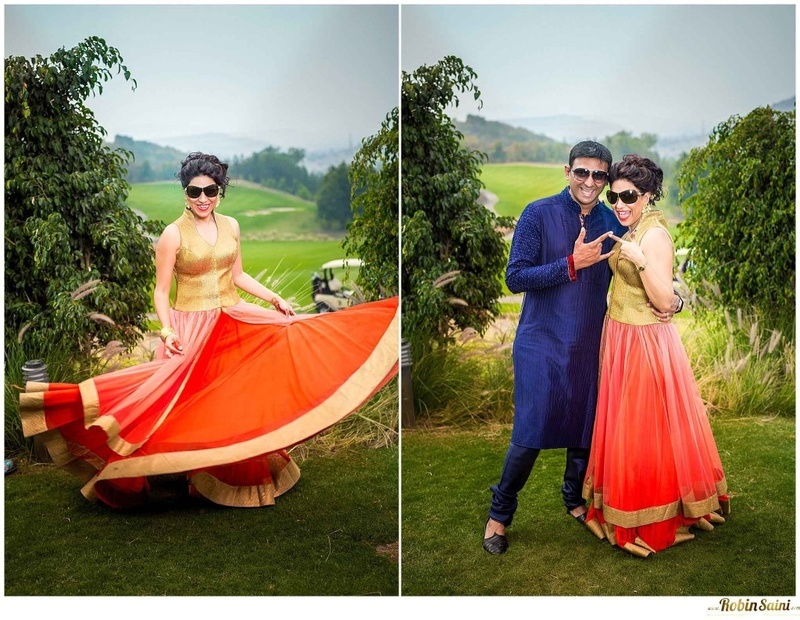 The lush green space at Oxford Golf Country Club, Pune, hosted their Saat Pheras. 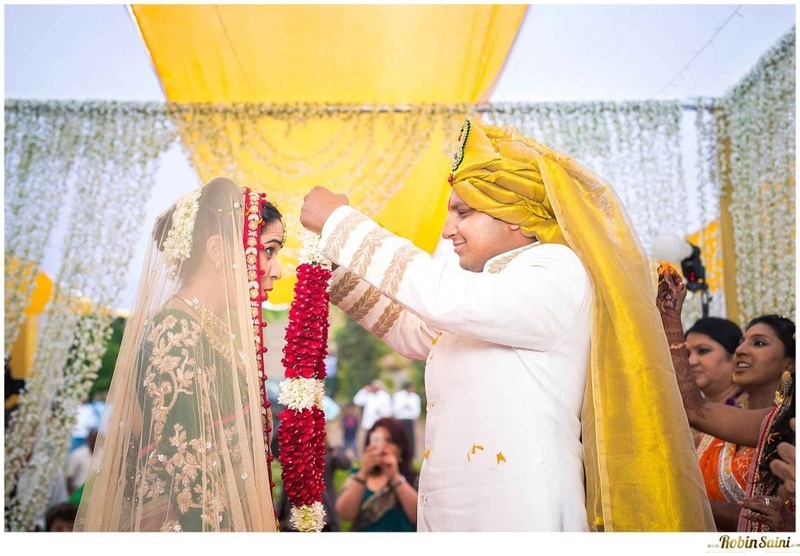 The venue itself was reason enough to keep the décor minimal – a vedi mandap decorated with Jasmine flowers and yellow + white drapes and a bed of flowers for an aisle – they truly did it with class! 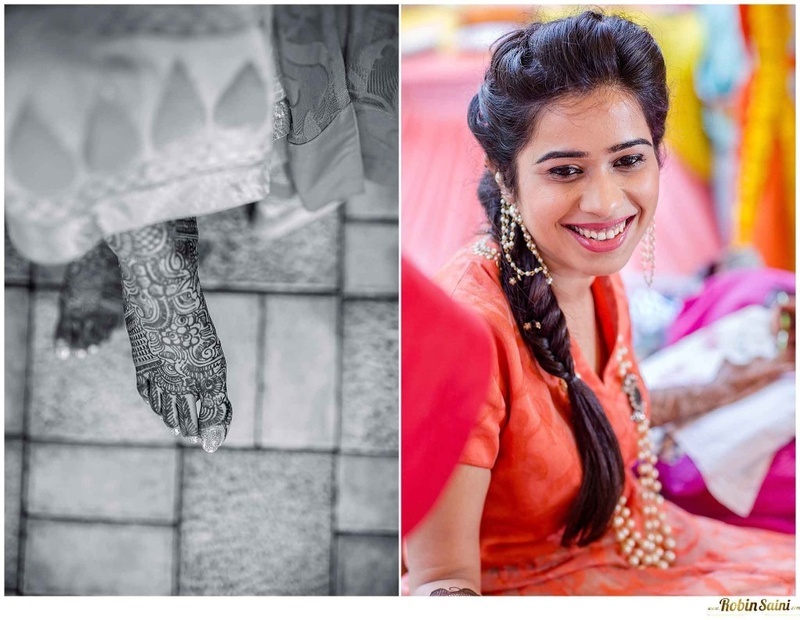 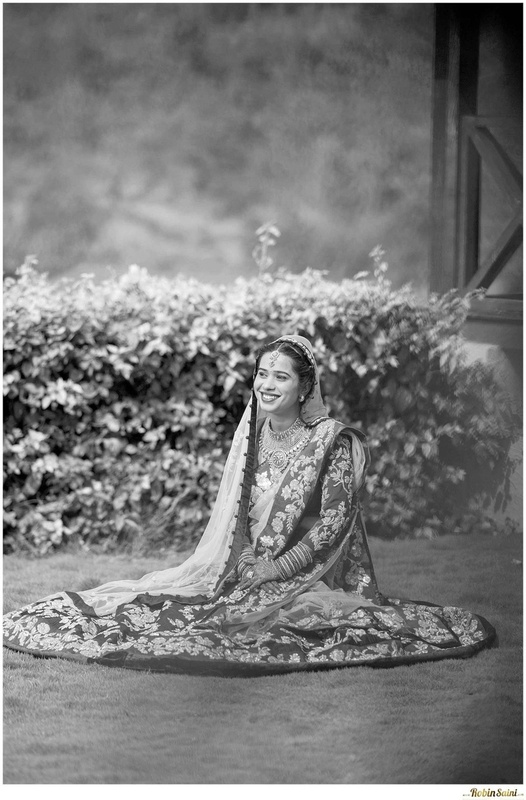 The bride donned a Shyamal and Bhumika original. 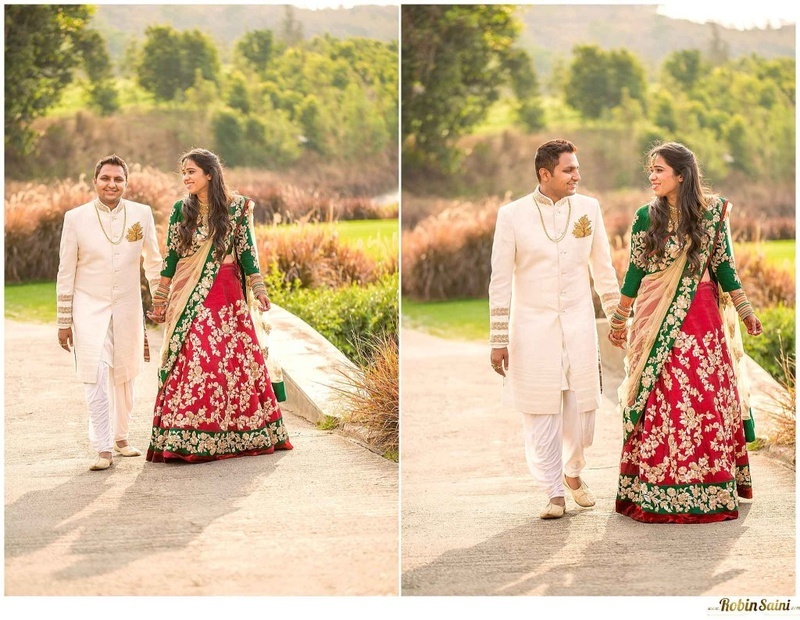 The flared, deep red lehenga and emerald green blouse with detailed floral resham embroidery paired with her regal gold jewellery was just plain stunning. 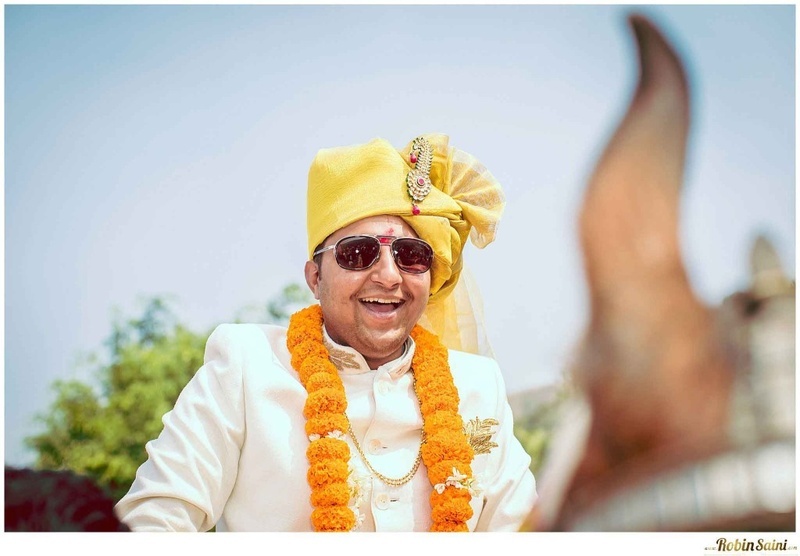 The groom looked equally stylish in his ivory and gold sherwani by Shantanu and Nikhil. 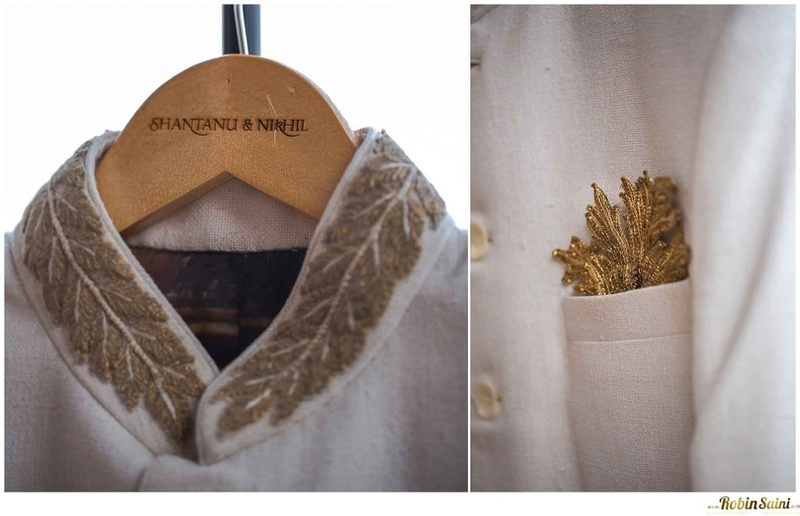 The gold-beaded, maple leaf pocket square added that extra touch of class to his entire ensemble. 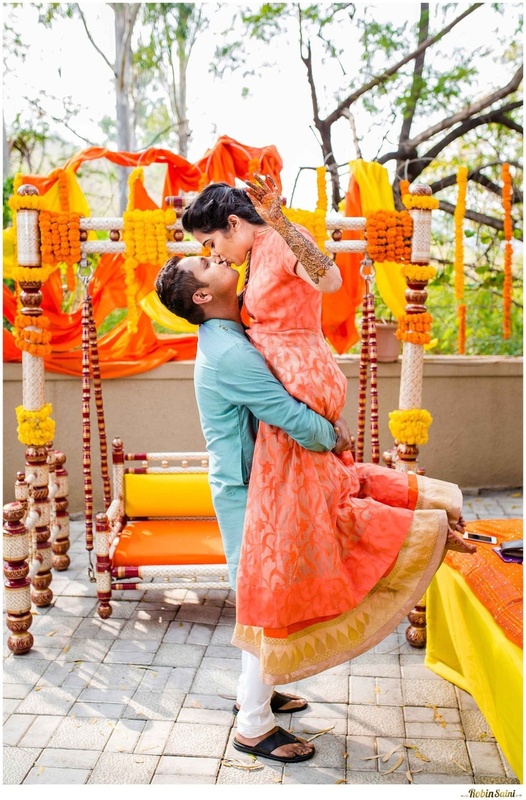 It is true that marriages are made in heaven, but it’s up to the couples on earth to make it a memorable affair. 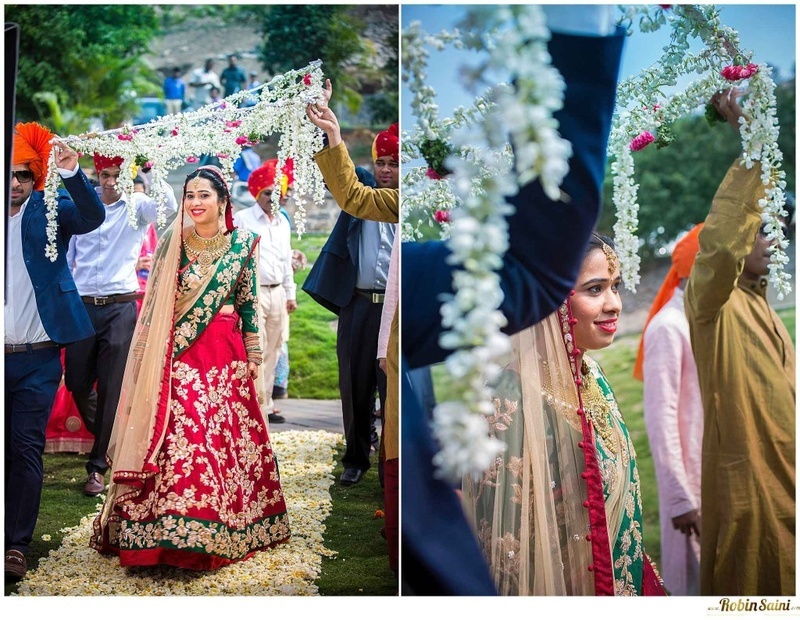 This couple has definitely left us believing that true beauty lies in simplicity. 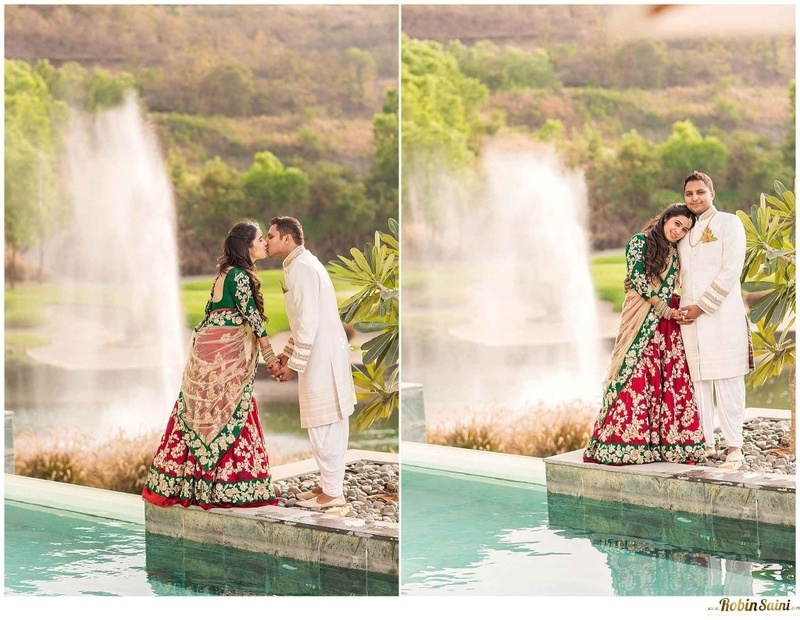 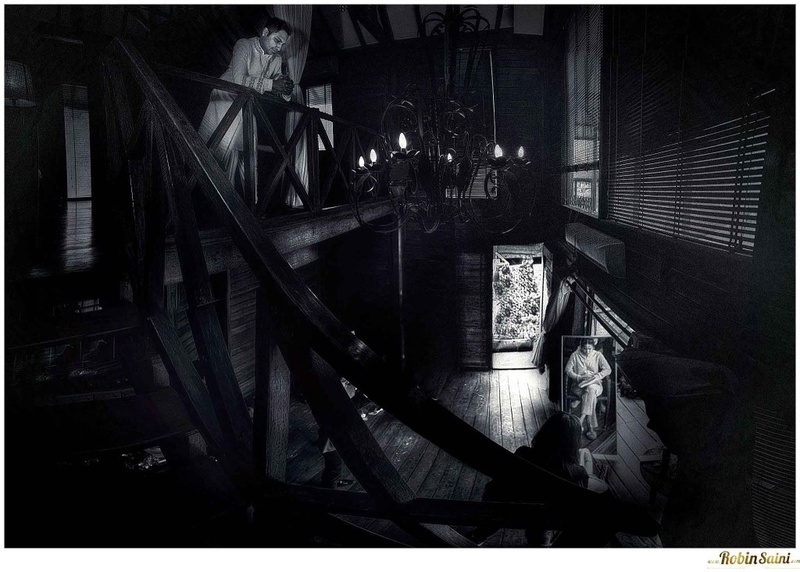 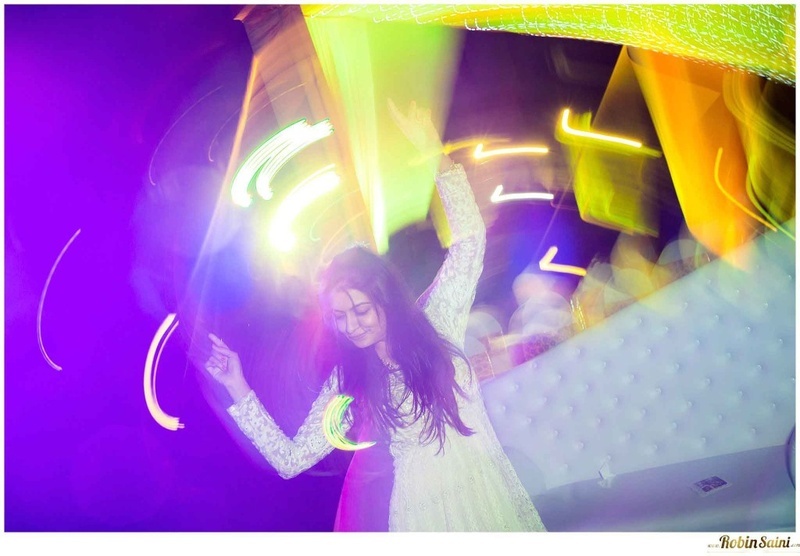 Take a look, and fall in love a little more with these gorgeous pictures captured by the talented Robin Saini. 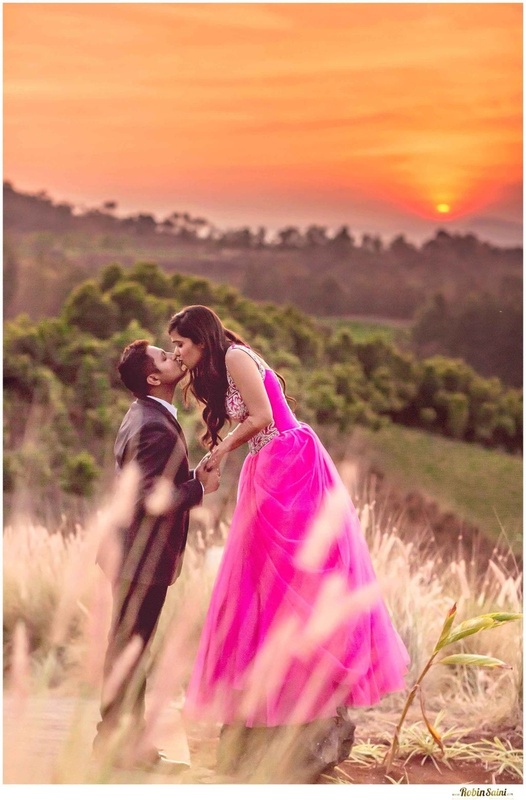 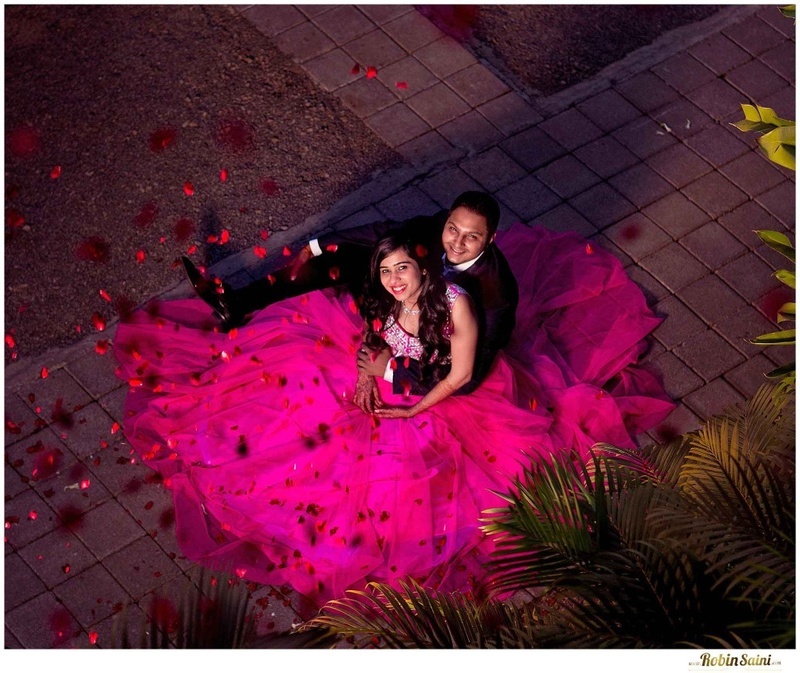 Hot pink princess gown making the bride look like Barbie!